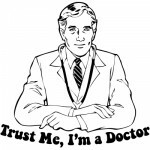 Home » blog » Surviving Cancer Doesn’t Make You An Oncologist! Surviving Cancer Doesn’t Make You An Oncologist! 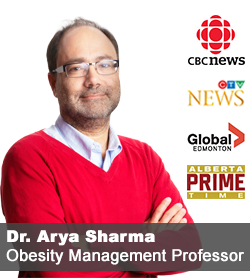 In my TEDx talk “How to Lose 50 Pounds and Keep Them Off” released earlier this week, I recommend that people struggling with obesity seek help from a health care professional trained in chronic disease management. 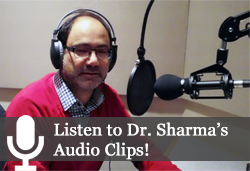 Given that most of what we deal with in medicine is chronic disease, one would imagine that almost any health professional can give competent advice on living with a chronic disease. Unfortunately, while this may be true for diabetes or hypertension or most of the other common chronic diseases that virtually all health professionals at some time in their careers will have learnt to manage, very few will have any experience at all in treating obesity – let alone even thinking of obesity as a chronic disease. It is therefore not surprising that when it comes to weight management people often turn to lay “experts” who proclaim themselves as “experts” simply because they have somehow managed to lose weight and are (at least for now) managing to keep it off. Often, these “experts” (not seldom with the help of a savvy publicist) will launch a lucrative speaking business including authoring self-help books, offering diet/exercise plans, appearing on TV talk shows, endorsing supplements or promoting whatever it is they believe helped them lose their weight. Unfortunately, as I hear over and over from my patients, these self-proclaimed “experts” who, having “conquered” their obesity, have now embarked on a mission to help you “conquer” yours, are about as effective as any other commercial fad diet. This is because, we have long known that in obesity, what works for one person may be entirely ineffective in the next. Just because you lost weight by following (insert your approach here), does not mean that you have found the Holy Grail of weight management and are now somehow professionally qualified to offer your help to everyone else. Living with heart disease does not make you cardiologist! 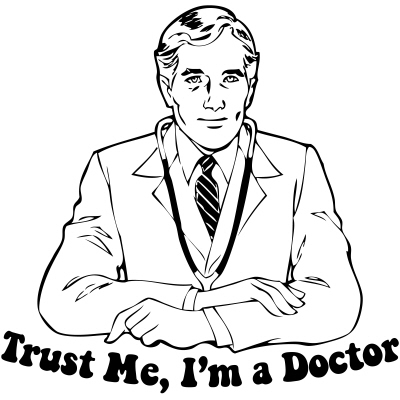 Surviving cancer does not make you an oncologist! Losing weight does not make you an obesity specialist! This is not to say that the “patient” experience is not important or that “peer support” cannot be a valuable tool in chronic disease management. Indeed many successful weight management programs including Taking Off Pounds Sensibly or Weight Watchers rely heavily on “peer support”, in that groups are generally run by lay people who are themselves “affected”. While this makes a lot of sense, it does not replace the need for a professionally qualified health professional to ensure that all goes well. Just because you are a member of the local diabetes support group does not mean you no longer need to meet with your diabetes educator or family doctor. Just because your dearest friend survived a heart attack and is willing to share her experience and support, doesn’t mean you no longer need to see a cardiologist for your own heart problems. This is an important distinction and should be a warning to not rely too heavily on people peddling their “success stories”. While it may well of interest to listen and perhaps even examine their suggestions, hoping that what worked for them will work for you, is both shortsighted and can potentially do more harm than good. Do I wish that all health professionals had a sound understanding of obesity management and are there to support people living with obesity – of course I do. But I know we are not there yet and it will take time before health professionals begin seeing their role change from simply “recommending weight loss” t0 actually having the expertise and experience required to help patients better manage their weight and health. I think I finally understand the saying “I just can’t”.